Practice Makes Perfect: 5 Tips for Improving your ... How-to "SHRED IT BRO!" 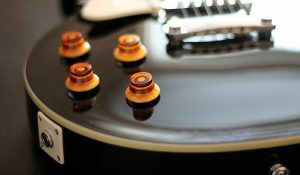 Articles > Guitars > Does a Perfect Guitar Exist? What makes a great electric guitar? Is it the way it plays? The way it sounds? The way it looks? The material it’s made out of? In my personal experience working with so many different music stores, it’s a never-ending theme once those guitars come off that delivery truck. What makes the best electric guitar? Some people are more traditional in that they favor Stratocasters, Telecasters, Les Pauls, and SGs. 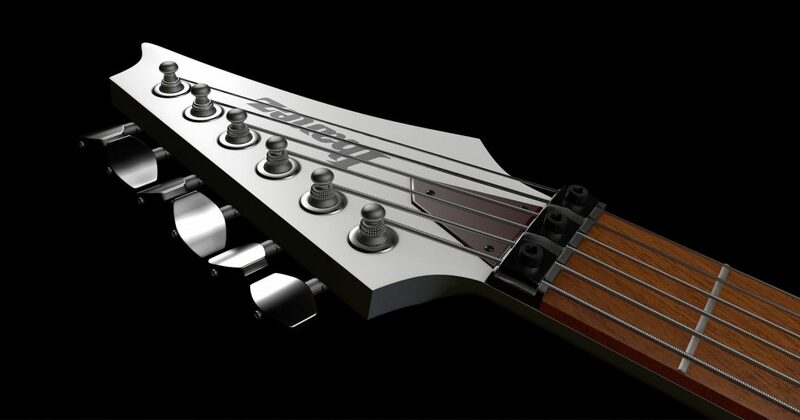 The others favor the more progressive guitars like the “pointy” Ibanez RGs, Jackson USAs, and PRSs. But in all actuality, all options have their strengths and weaknesses. We all know Strats and Teles have that authentic twang that has helped shape western music for over 60 years. You’ll hear that sound in a lot of our blues, rock, and country music today. 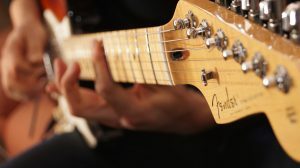 Artists like Eric Clapton, Jimmy Hendrix, and Stevie Ray Vaughn are just a few examples of guitar legends who made it work with these types of instruments. But, they can sound too thin for modern music and not to mention the electronics are very noisy. Although that can be compensated for, it can be a bit of a hassle trying to get that clean cut sound for music as it’s developed into today. Then you have the late 60s to late 80s folks rocking the Gibson Les Paul or SG guitars. These guitars offer more of a bold punchy-like texture when played. Bands like ACDC, ZZ Top, and Guns N Roses wield these axes as part of their authentic sound. However, these guitars have been known to be a bit unwieldy, heavy, and just hard to play when trying to achieve a more technical style of playing. Moving on to the late 80s early 90s, we’ve got players like Steve Vai, Joe Satriani, and bands like Pantera emerging with the more high performance guitars like the Ibanez RG and S Series and Jackson USA guitars. These guitars feature a more thin and ultra access contour that allows for maximum note playing or shredding. With these guitars, so many more great musicians have come out of the woodwork, pioneering the craft of guitar playing even to this very day. However, in order to make such a high performance instrument, a lot of the characteristics that make a guitar sing like the Les Paul or Strat have to unfortunately be shaved away from the design. So what’s all the fuss? Well the fact is people have different preferences right? Some actually argue that the more traditional guitars like the Strat and Les Paul are better because they laid the foundation for the music we know and love today. The “younger” kids of “pointy” high performance guitars argue that these guitars are laying the framework to an upper echelon of guitar playing and musicality. The truth is that it depends on what your immediate needs are. In a sense, both sides are right. Ultimately, what is the end goal…to have a “perfect guitar” or to make awesome music with whatever guitar works best for that music? I’d say the latter! Ultimately, what is the end goal…to have a “perfect guitar” or to make awesome music with whatever guitar works best for that music? I’d say the latter! The truth is you’ll never able to put all the optimal specs into one instrument. We just briefly went through over 6 decades of guitar evolution and concluded that guitars are getting thinner. Is that better? Is it worse? The answer is neither. It just depends on the sound you’re looking for and what your needs are as a player. All these guitars were made for the music of their time at the very best they could be made. It wasn’t about making the perfect guitar then and it isn’t now. I consider my work in the music store industry an honor because I have experienced so many different types of instruments that I just simply appreciate the evolution. I love guitars, I love playing guitar, I love music, and I love playing music. Find yourself a guitar that’s just right for you and continue enjoying music my friends!